To use WP RENTALS, you must be running WordPress 4.4 or higher and PHP5.6 or higher. PHP influences your site speed. For good speed results, from theme end follow below settings. The theme cache was implemented for the most used theme elements, shortcodes and widgets. You can use additionally other cache plugins for HTML, CSS because our cache doesn’t interfere with that. Theme caches several elements, and the main focus is on the property unit used in lists (properties list, taxonomy and property shortcode), because these lists have a lot of data. Cache saves the number of requests sent to the database, which helps loading pages faster. And this a highly recommended solution for good speed results in general which we wanted to offer to our clients. Also, it’s important to mention that theme Cache renews automatically every 4 hours. We strongly recommend using this caching system and not turning it off as we’ve studied the solution intensively and we know what advantages it has over site usability. 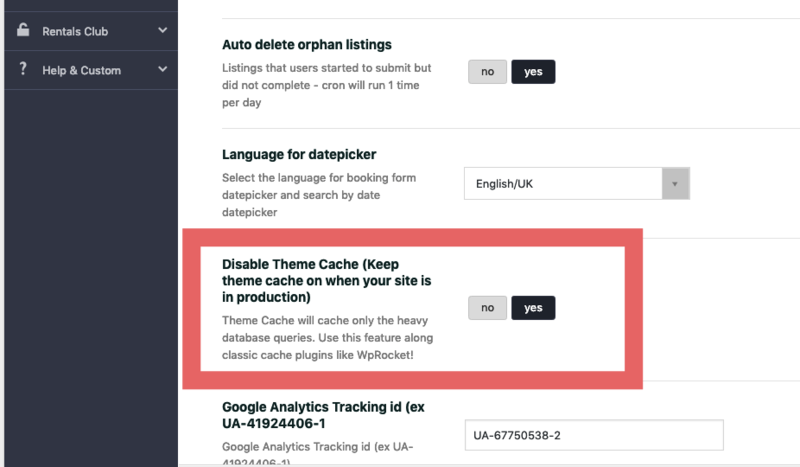 No cache plugin can replace the cache we have implemented since it’s specific to theme features and only using this cache you can have the advantages that come with it. Make sure you are not missing images. 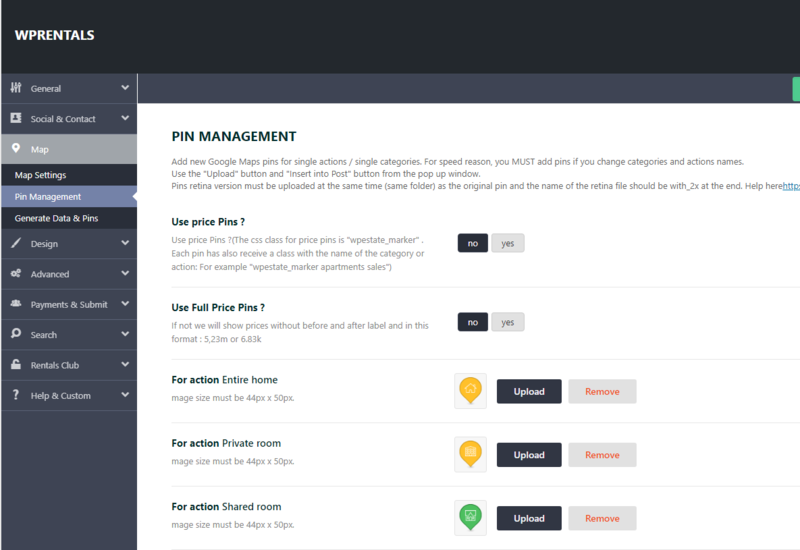 Works with the “generate pins” button (manual control) or a cron that generates new pins every 24 hours automatically. 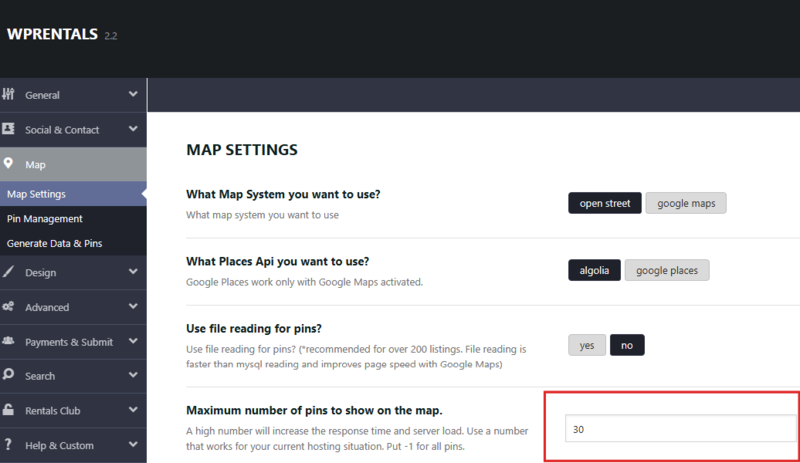 Starting 1.18 version – choose the Maximum number of pins that will show on the map. This will apply to Advanced Search Results, Properties List Standard and Properties List Half, Taxonomies Lists – regardless of whether you have Read from file enabled or not. As workaround you can use plugins like FASTEST CACHE- plugin and enable gzip compression. Enabling cache as well will make a difference, but server cache has better results. 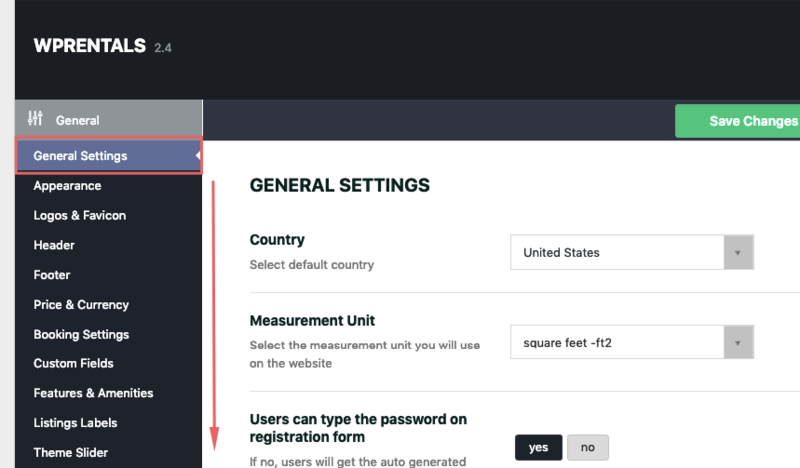 Test speed just with theme plugins (Visual Composer, Ultimate Addons, Rev Slider) to compare results and delete those you do not use or want to keep using. Make sure your images are optimized. Make sure your images and less size possible – this applies for any image. Use plugins such as SMUSH IT or EWWW OPTIMIZER. .You can use a hosting that has server cache setup. You are using Cheap or Shared Hosting. Sorry to break it to you, but your $9.95 Turbo Plan at Hostgator/A2hosting/Bluehost/Godady probably isn’t suitable for your website. Shared hosting means you SHARE resources. That means that there are hundreds of sites like yours all fighting for resources on the same machine(computer).This is how these companies makes money : they take a server and put as much clients as possible on it and limit the resources for each website hosted there. It’s even worse is if you’re running multiple websites running on the same plan! Also a hacker who has gained access to one site on a shared machine can most likely gain access to all the sites on that machine. Look for at least a virtual hosting. – you should get a decent one for $20-$30. Always update to the latest theme versions and WordPress version. We release constant updates with new features but also with code improvements that may speed up your website. *** we update this document on regular basis – you should check it from time to time.